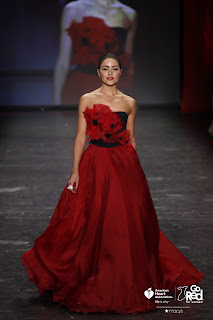 Last night the Go Red For Women® Red Dress Collection runway show took place. Each year the charity fashion show takes place during New York Fashion Week. Several celebrities graced to the runway to raise money for woman’s heart health. Check out this year’s models below. This gown was definitely one of my favorites of the night. Sofia is the daughter of Singer Lionel Ritchie and has been making a name for herself in fashion. 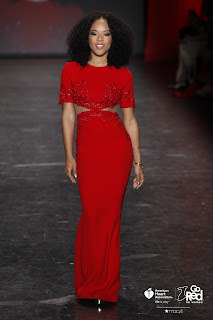 The American Heart Association’s Go Red For Women® Red Dress Collection™ 2016 presented by Macy’s is an exclusive event where top designers, models, and celebrities demonstrate their support for women’s heart health during New York Fashion Week. The event reminds women that heart diseases and stroke cause 1 in 3 women’s deaths each year, killing approximately one woman every 80 seconds. The Heart Truth® founded the Red Dress Collection as a visionary concept that leverages the beauty, energy and power of women to beat their greatest health risk. You can donate to this cause by visiting Go Red for Women. 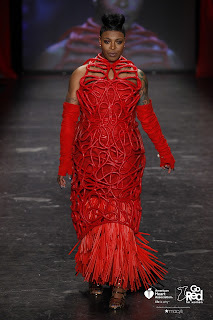 All images/information appear courtesy of Go Red for Women and NYFW.